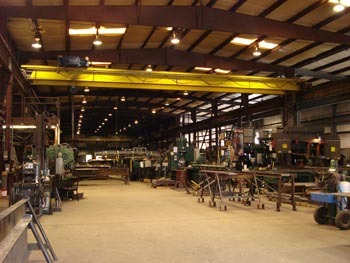 We are a family owned structural and miscellaneous steel fabricator. We have been in business since 1979, serving the needs of contractors and projects all over the eastern United States. Our goal is to manage each job with integrity and build relationships with contractors that will last a lifetime. We also believe in partnering with the contractor so that we can fabricate and deliver the highest quality product. 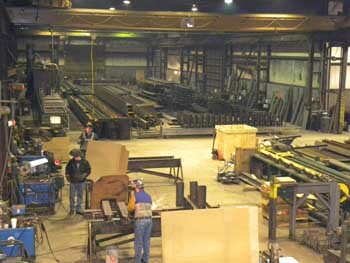 We continually strive to be one of the best steel fabricators in the industry. 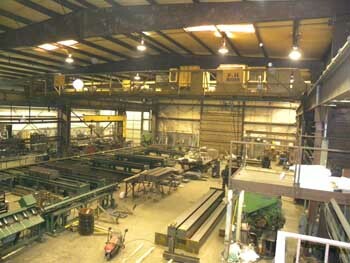 Henard Metal operates out of a 45,000 sq ft. fabrication and paint shop. HMF utilizes a BCP 8 wheel blast cleaning machine, Controlled Automation Model DRL-344 Drill and Beam line, ABL-100 angle and flat bar line, saws, welders, ironworkers, overhead cranes, boom trucks, road tractors and several trailers. Our detailing department utilizes Tekla/X steel and Autocad Release 2007. We also have the capability to download drawings from the Internet.